With last years Rev For Le Cure being such a huge success, it only made sense for us to have yet another one this year! As most of you probably already know, our beloved Stratotech has since been sold and therefore unavailable to us this year. Even though there is now Castrol Raceway which we saw just a few weeks back, it was already booked for the weekend. No matter, we’ll make do with what we have! 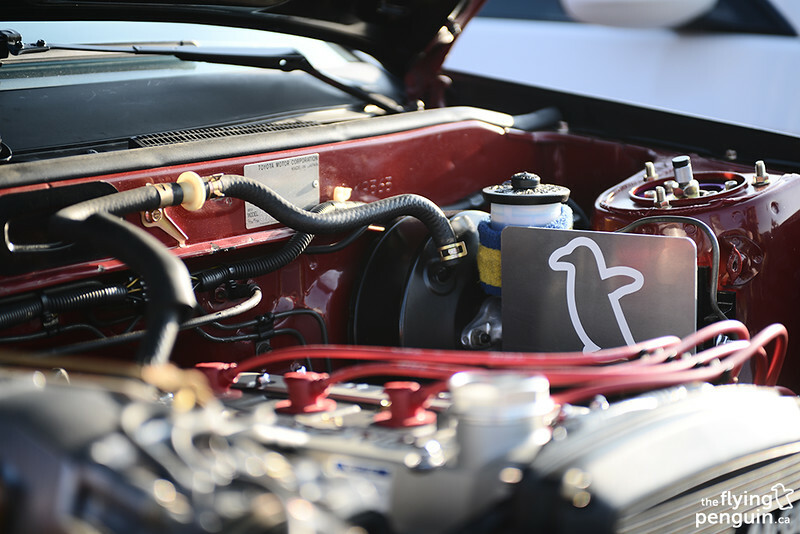 Since there was no racetrack for us to play with this year, Rev For Le Cure founder Lam Le decided to have a car show instead hosted by Overtime South, something we don’t see anymore ever since the demise of Driven and Sport Compact Challenge. I used to be pretty big on the show scene back when I still had my Eclipse, so it’s nice to see another show series coming along. 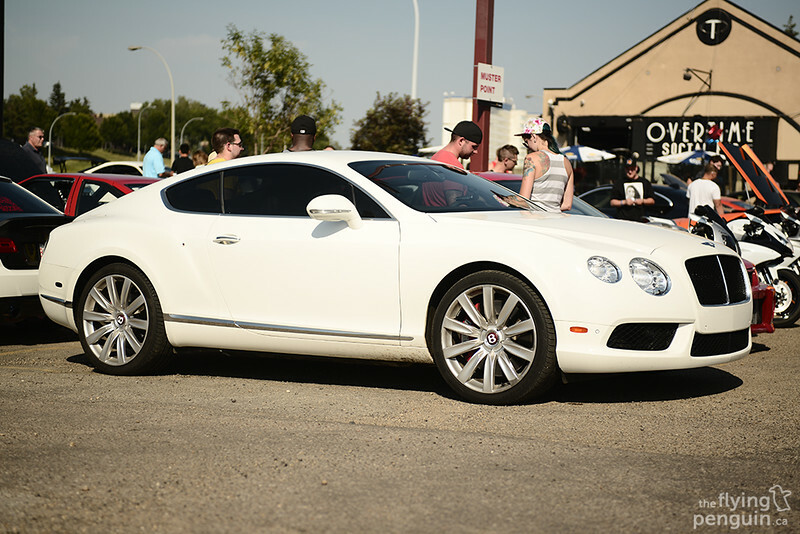 Just like last year, Rev For Le Cure would be fundraising money for the Alberta Cancer Foundation. 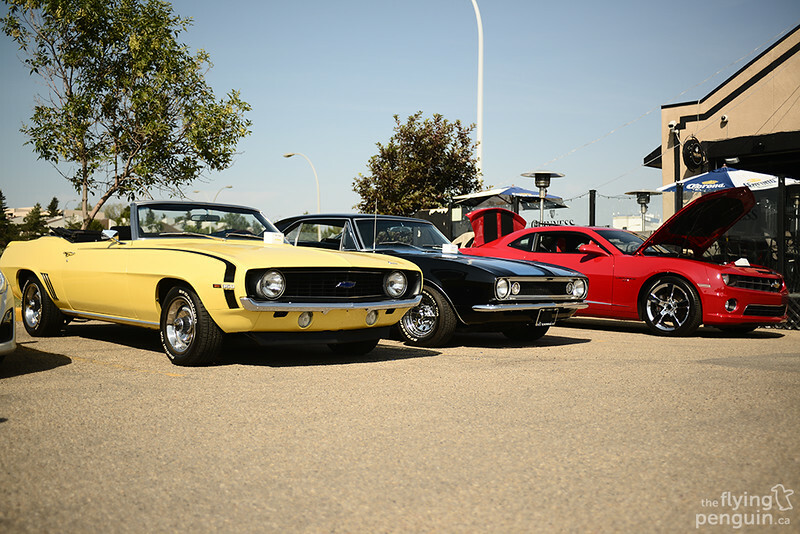 …let’s take a look at some of the cars that were in the show and shine! 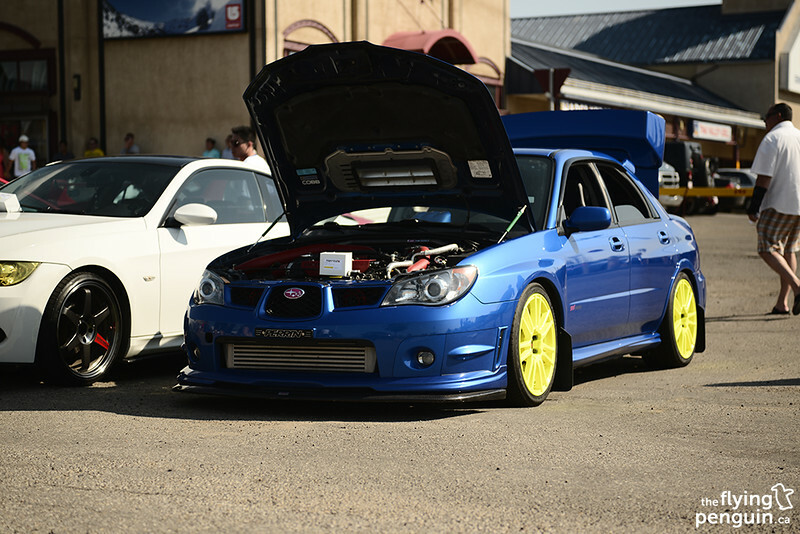 Let’s start off with that Impreza that I saw everywhere last year. 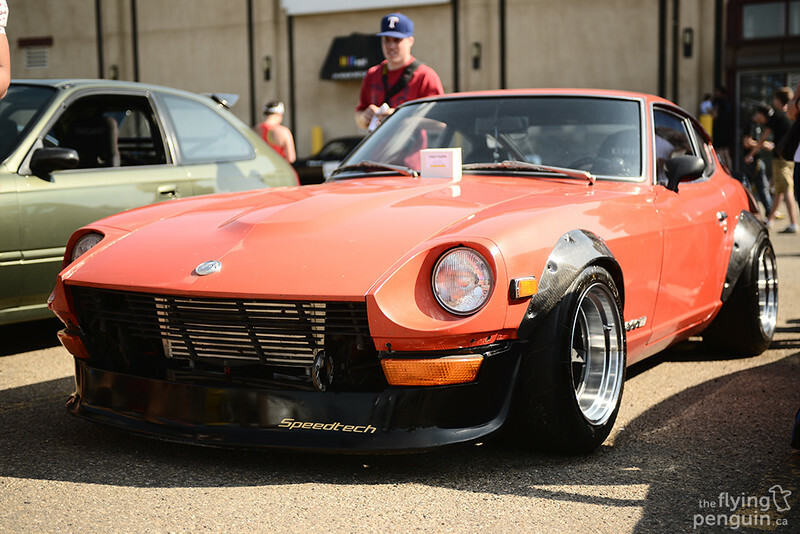 I finally met the owner and was indeed able to confirm that this is the car that I saw at the Vancouver Aquairum last year! 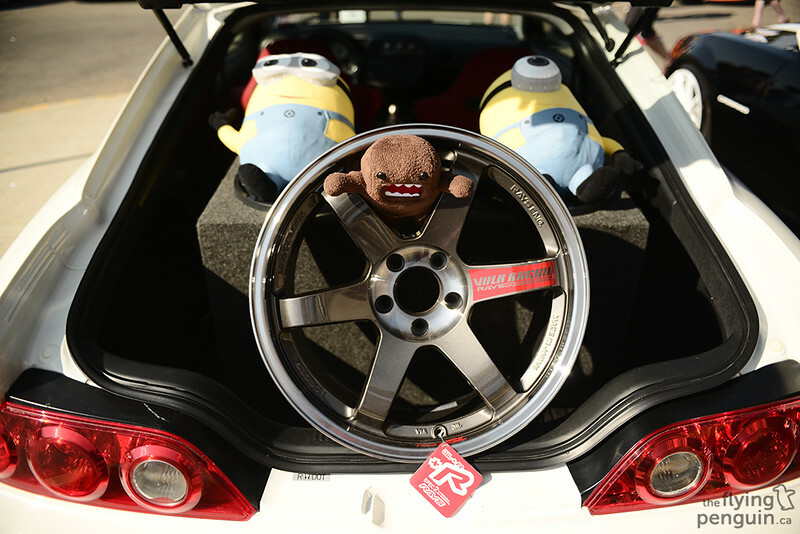 His trunk setup was pretty neat as well. It’s not very visible in the photo, but there is a plexiglass cover there! 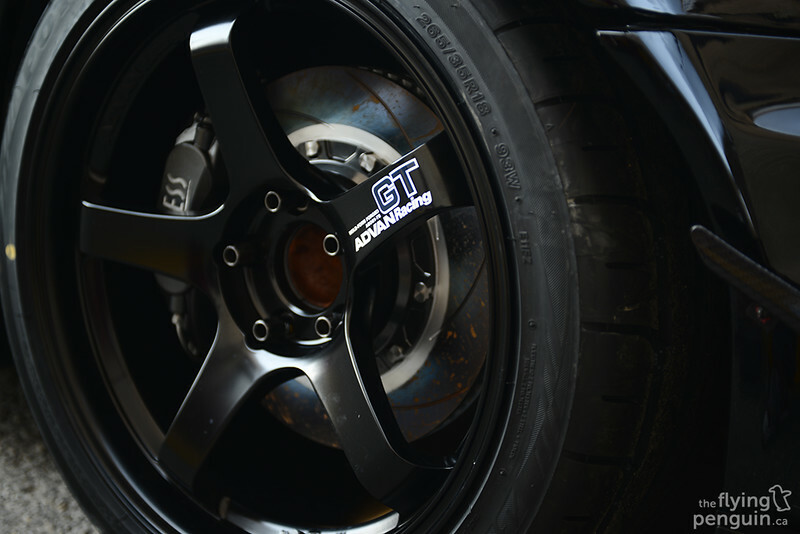 …and added a nice Euro touch to the TE37SL’s. 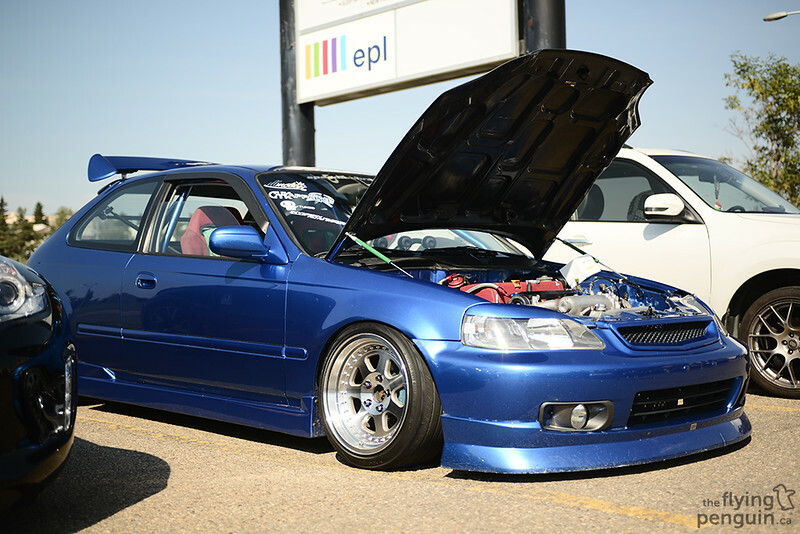 This blue EK is still looking as sick as ever. 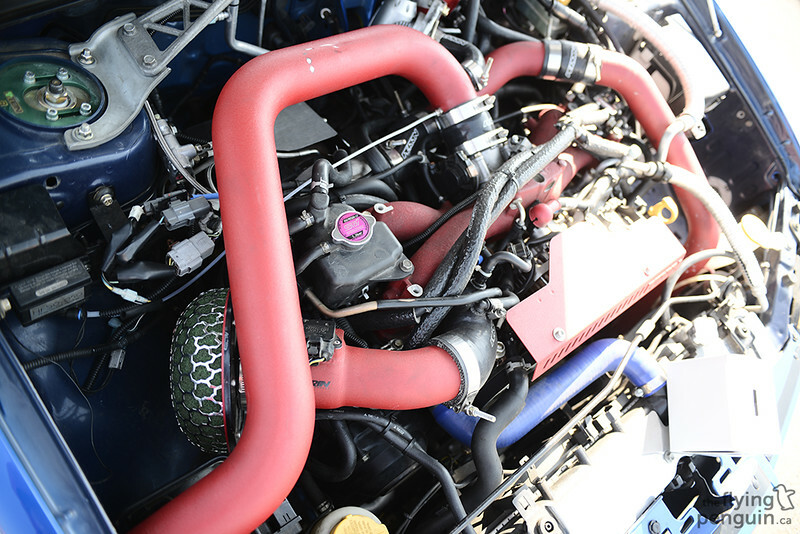 Its engine however is now missing the supercharger that we’ve seen before. I wonder what happened? 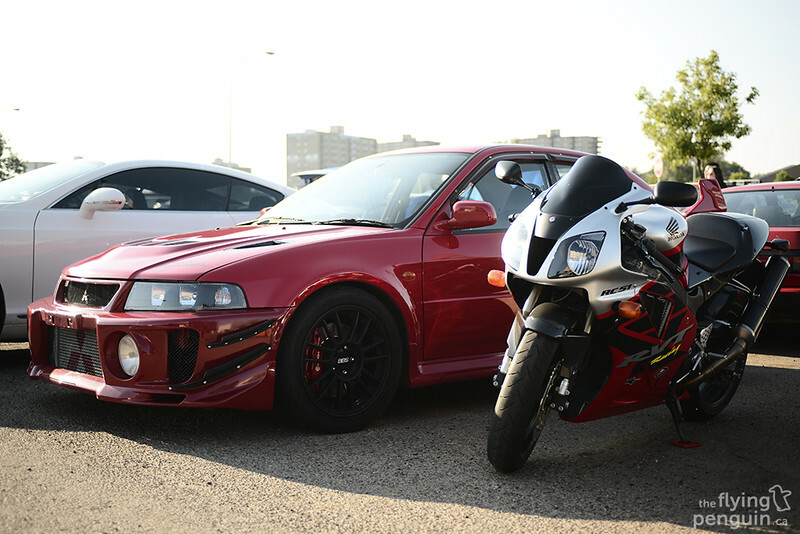 The Type R crew was also out as well. 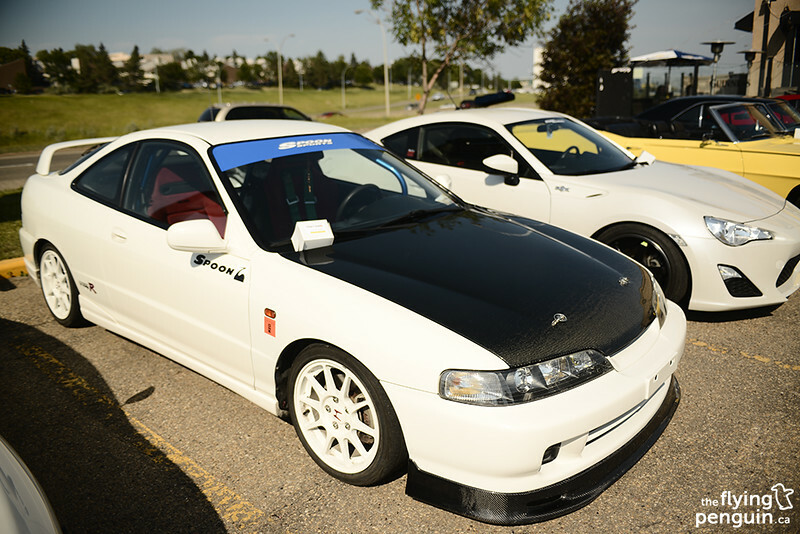 Too bad my Integra wasn’t in the lineup. 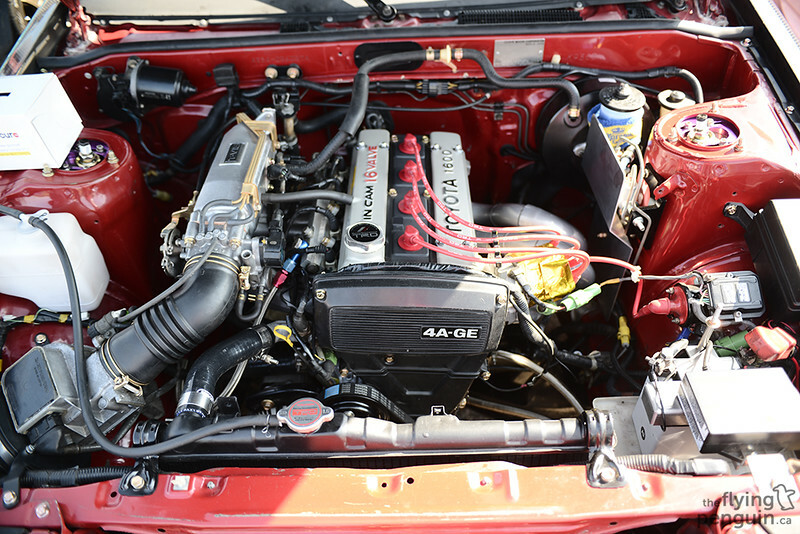 Although a full track machine, this ITR was sitting pretty for the day. 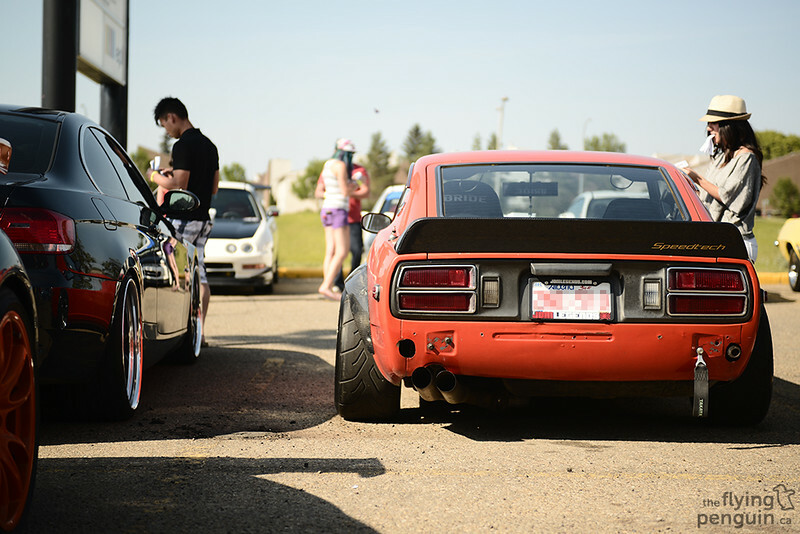 …thanks to the addition of a new Top1 Motors rear diffuser! 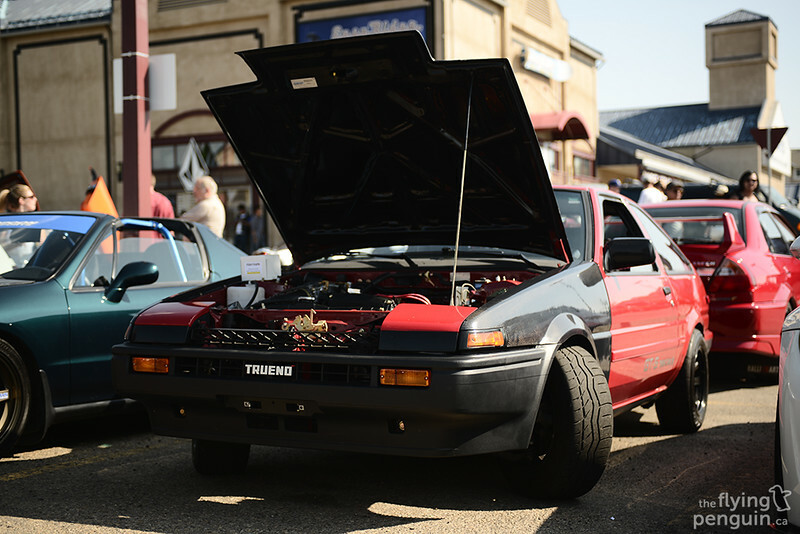 …it’s the original AE86 that we don’t see around as much anymore. Check out that steering angle. 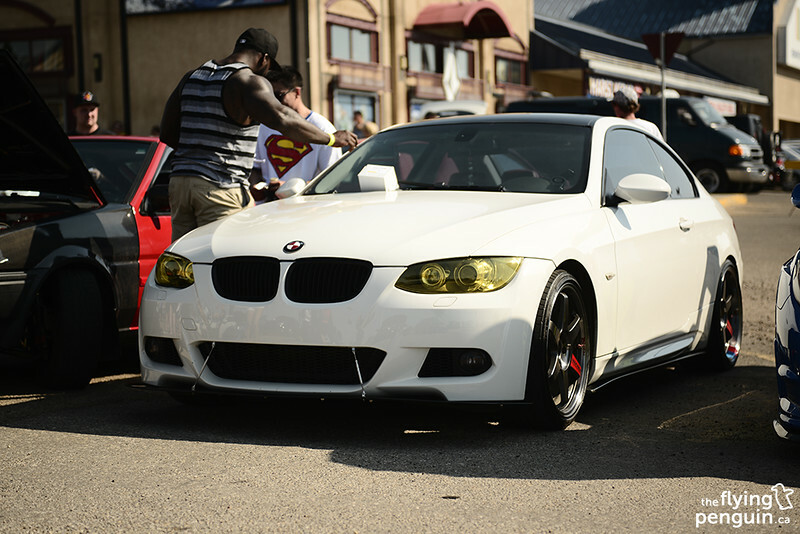 This car is immaculate. The entire thing was basically rebuilt from the ground up and is incredibly clean inside and out. 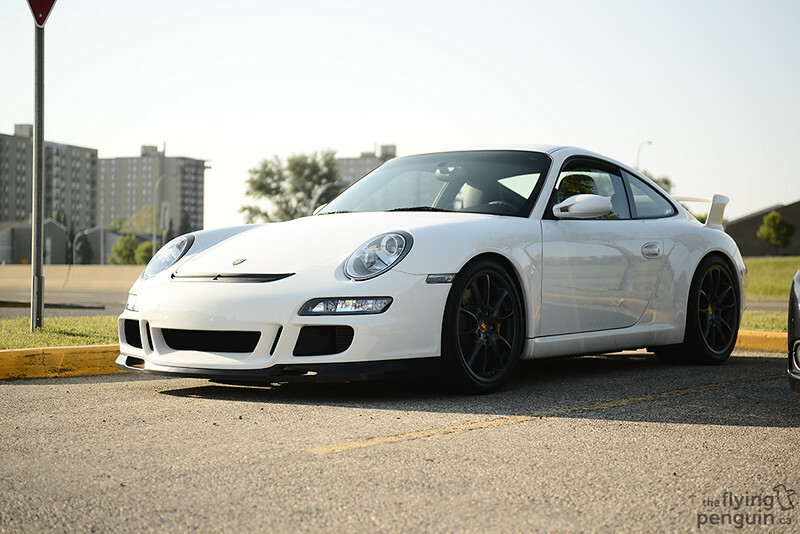 This car is actually owned by a very good friend of mine and I think a full feature is in order! 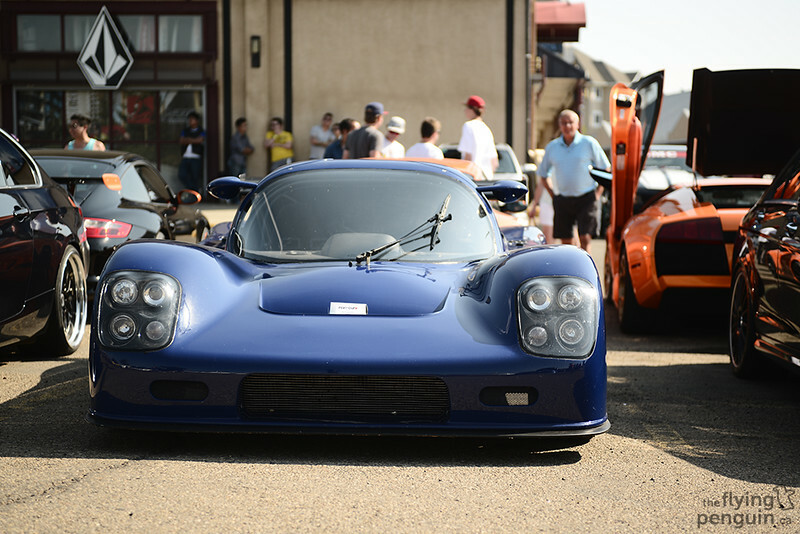 There were also a few classics present as well and looking as good as ever. I’m not a big domestic guy but I can always appreciate the amount of work and dedication that goes into these cars. The ex-Hybrid Racing EK looking as good as ever. 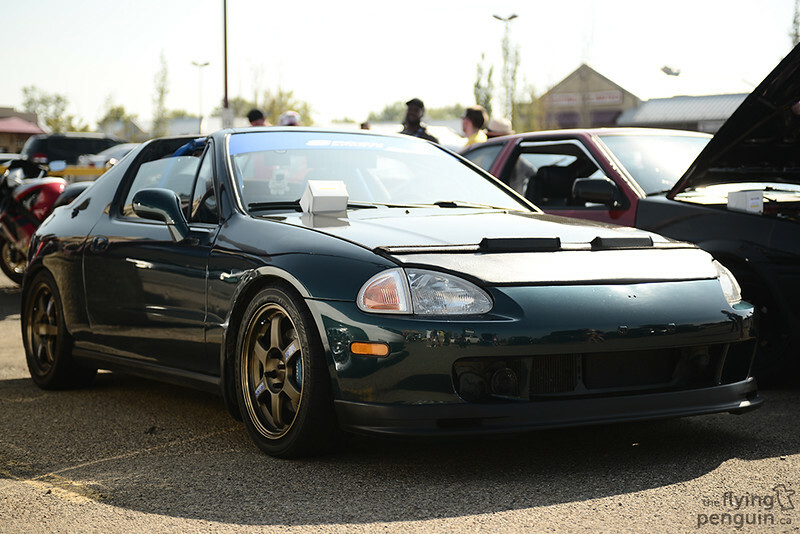 I found it pretty interesting that the owner of this Del Sol decided to run a hood bra on his carbon fiber hood. Definitely not something that you generally see parked next to a bunch of imports. I find it pretty impressive that these guys actually run their cars on the street at those ride heights. They must be masters at dodging potholes! 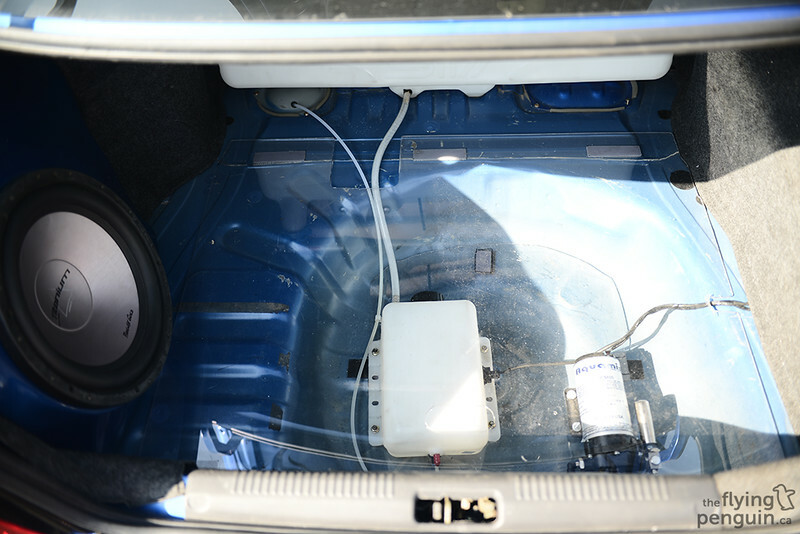 The white RSX also had a pretty interesting setup in the trunk. 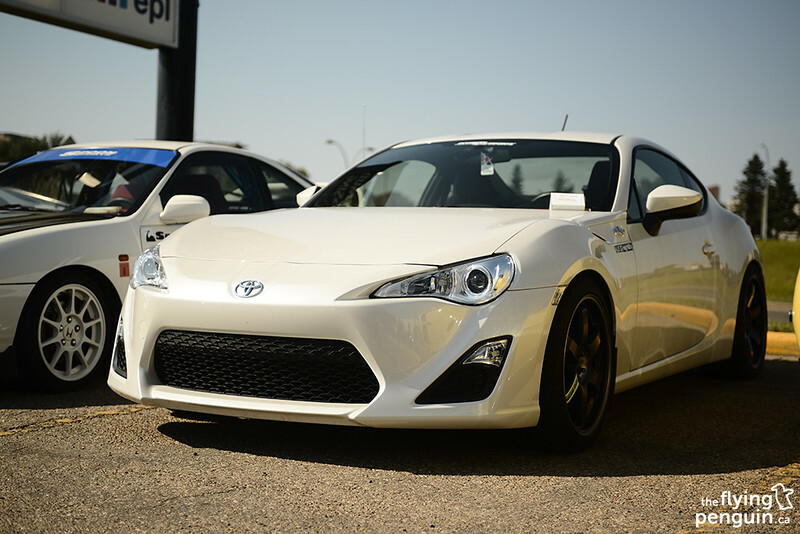 I remember seeing this car years ago when it still looked pretty much stock. 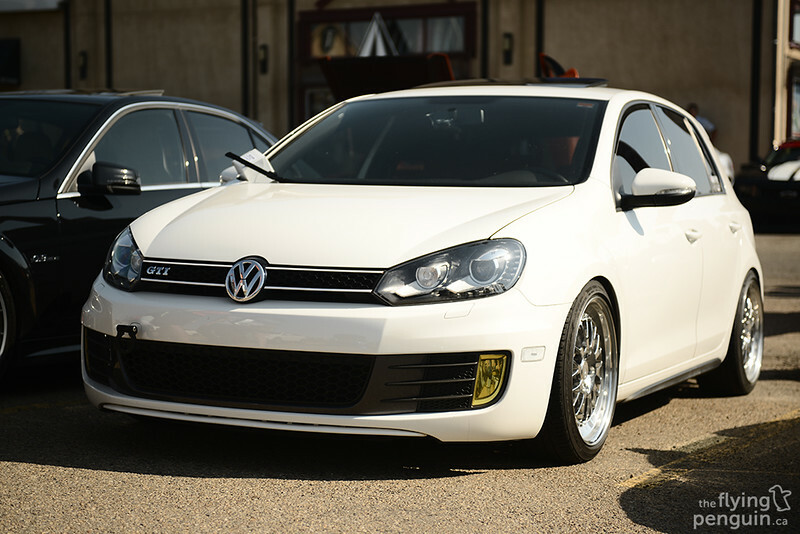 I don’t know about you but I very much prefer this OG style over the OEM look! There were lots of people scratching their heads trying to figure out what kind of car this is. How many of you know this is? 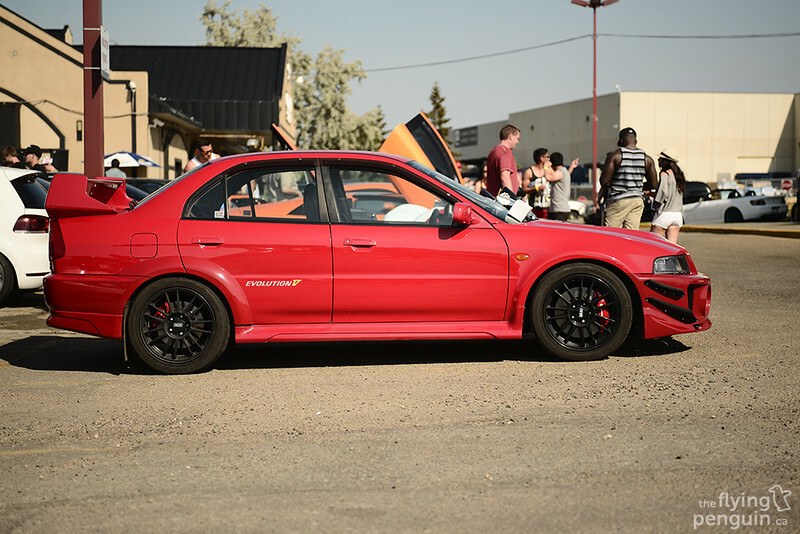 This is the same Evo V that I got a chance to drive last year and is now sporting some carbon fiber canards up front making it look extra aggressive. Right next to it was this RC51 which was also owned by the same person. 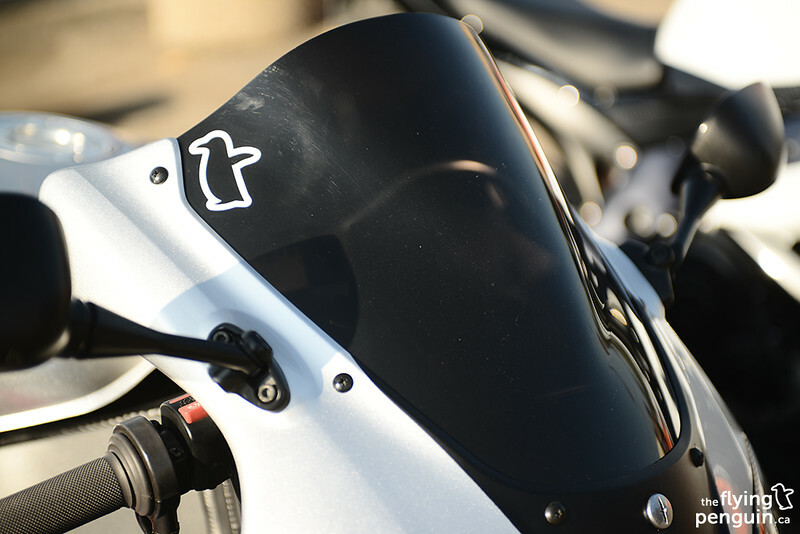 It was even rocking a FlyingPenguin decal, right on! Orange with tons of pulp. The exotic lineup was quite nice as well with the bright orange Murciélago, the bright orange GT3 RS, and the black GT3 RS with bright orange accents. There was also this curious looking 911 sitting in the corner all by itself. 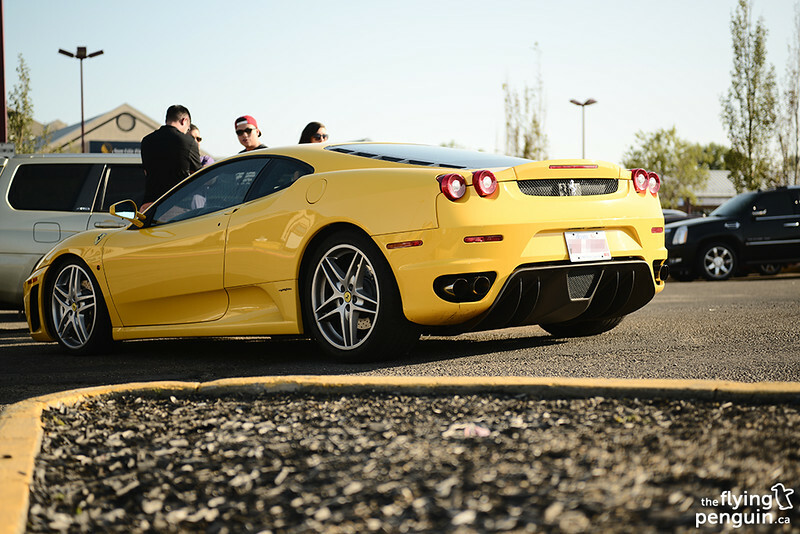 Even this F430 decided to stop by for a bit! Another car I happen to spot outside in the parking lot was this slammed EP3. I’ve been toying with the Tiffany Blue on silver look lately as well, what do you guys think? 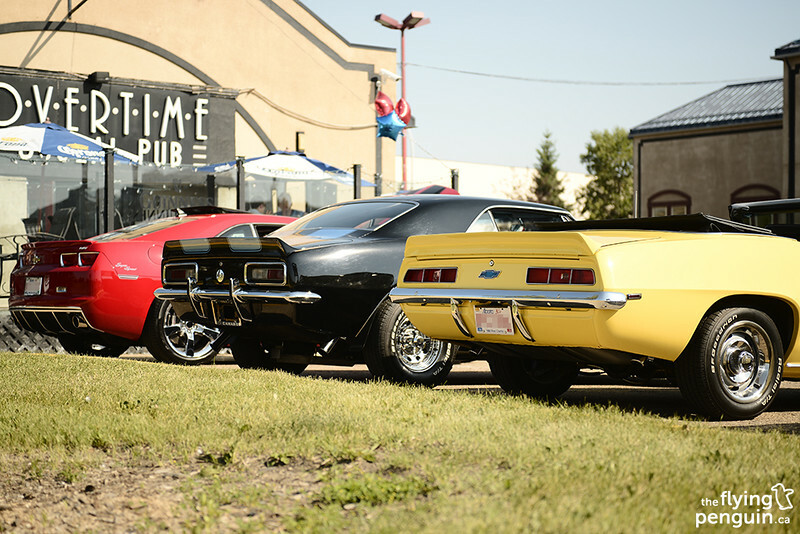 …all sitting quietly but looking mean. And I really do mean quietly. Last time we saw the Lord Vader S2000 it had suffered from an engine blow, but the owner decided to at least get it towed out for today’s event. 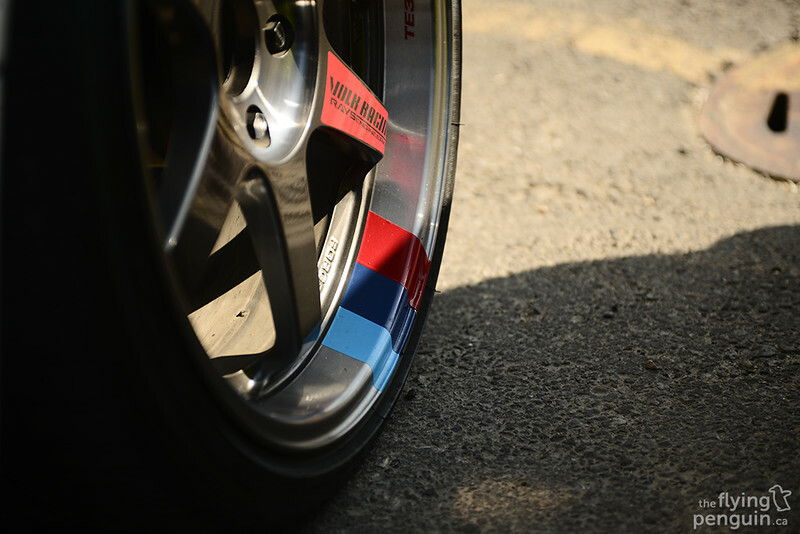 It was also sporting a brand new set of Endless brakes as well as Advan Racing GT’s at all four corners! 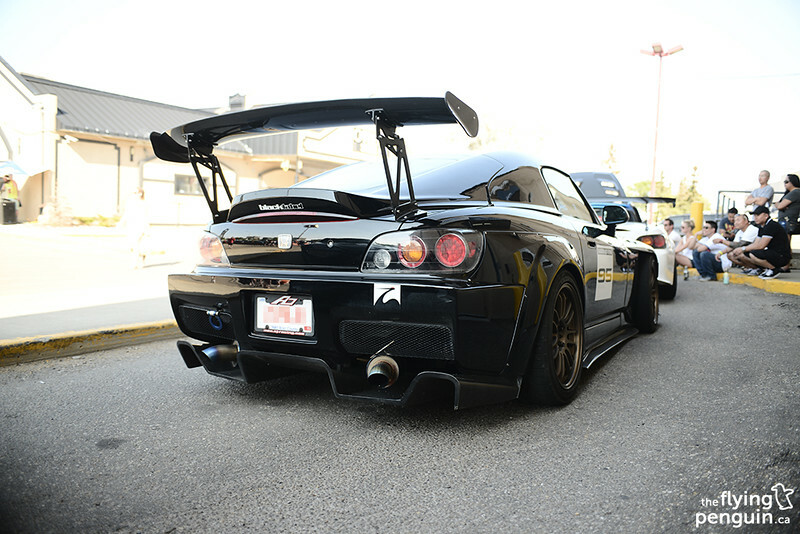 Right infront of it was the Spoon Sports S2000. I still love just how gangster this car looks. 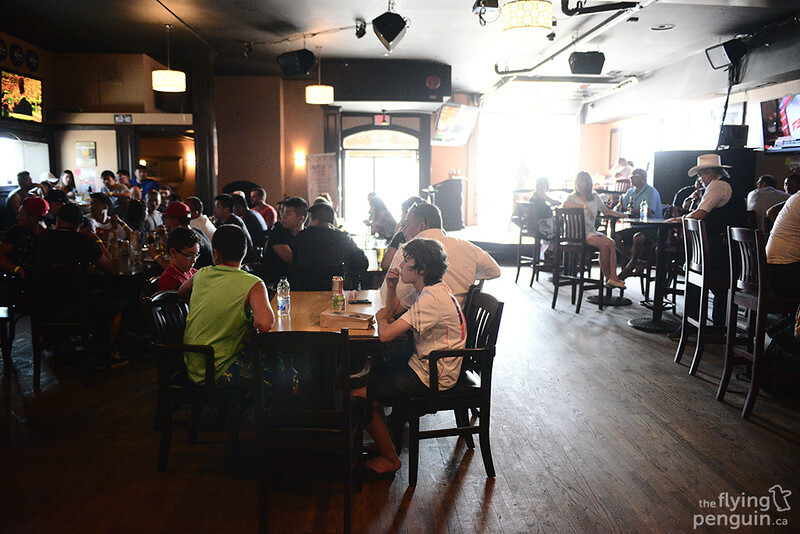 To end off I’d like to say congratulations to everyone who showed up to support this event and to Overtime South for being our hosts for the day. Of course I’d like to say an even bigger thank you to my good friend Lam Le for organizing such an amazing event! 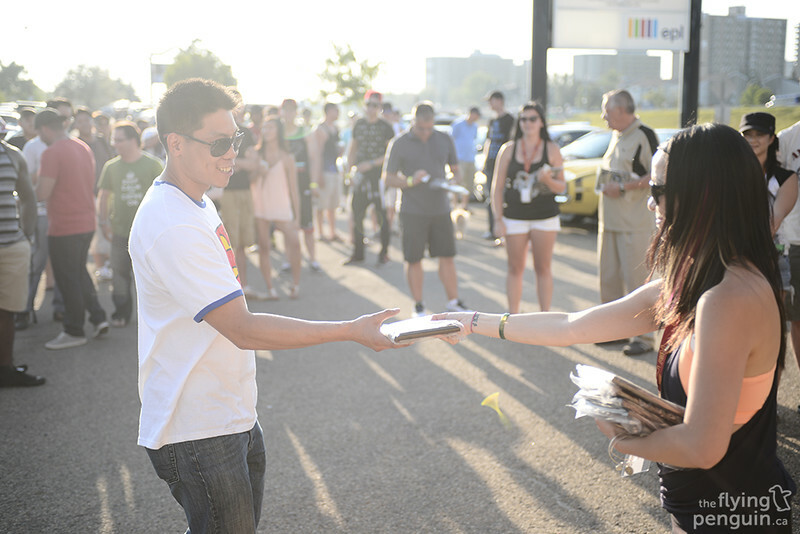 It’s always nice to see members of the car community come together and it’s especially better when we’re all there to support a good cause. I’m sure a lot of people will agree with me when I say that the car scene has changed a lot ever since our Fast And Furious days, but in the end we all love cars and will find any reason to enjoy them. Until next year! Click HERE to view last years Rev For Le Cure event!